Posted on 27th March 2019 at 3:20 pm. 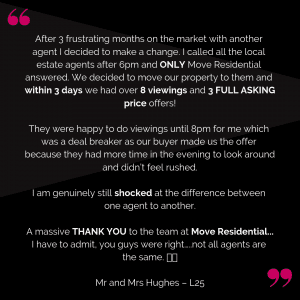 Despite claims made by other estate agents, Move Residential is the only estate agent opened until 7pm week days! 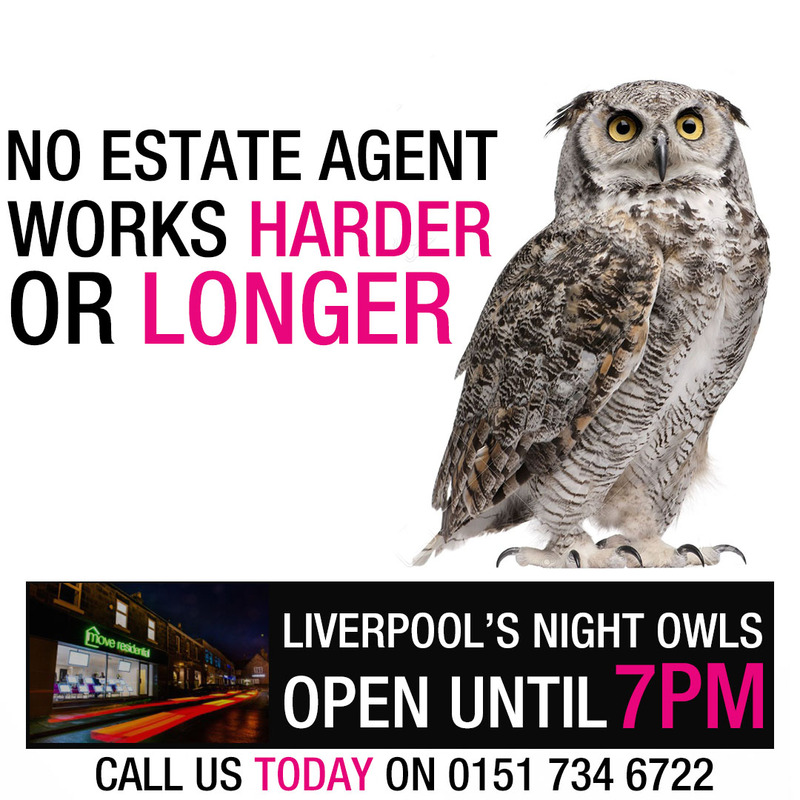 Our reputation as Liverpool’s number 1 selling agent has been built on sheer hard work and a constant drive to achieve REAL results for our clients, while offering a far greater level of service, social media & marketing. We’ve got a solid gold team that literally work longer than any of our competitors – these are the facts! 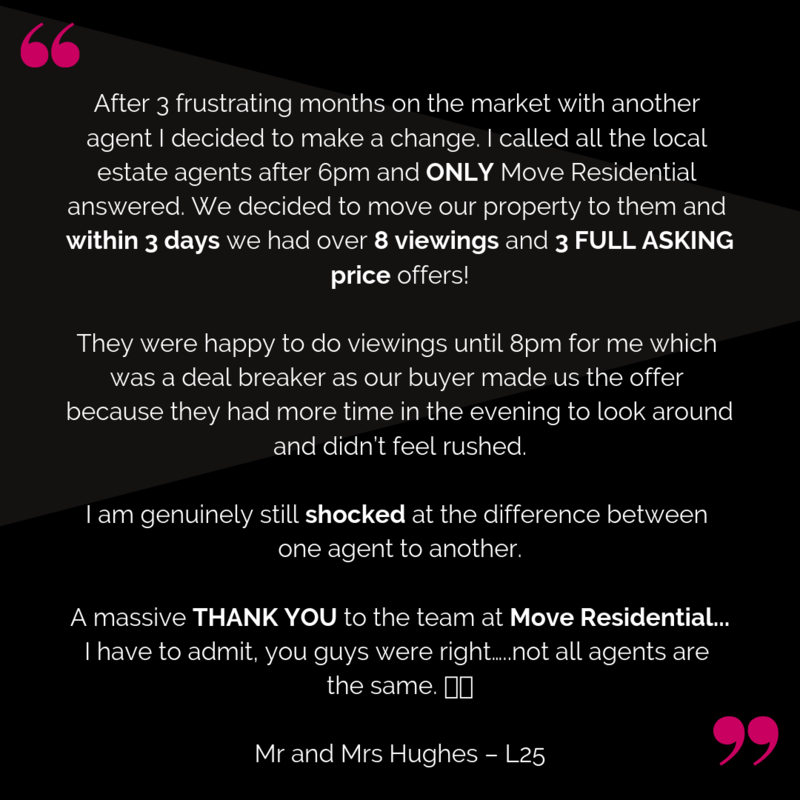 You might be surprised to learn that 70% of our viewings occur during the hours of 5pm & 7pm as this is when most of our clients finish work and are free to either view properties or call to register to see what’s available! With such high activity during these hours it is staggering that all other agents are not prepared to work later to take advantage of such a busy period! Not only that, but by staying open later, we’re also giving our customers more freedom to pop in at a time that suits them – less stress, more success! My house was on the market for 8 months with another agent. After switching to Move Residential they were able to secure us the asking price in just 2 weeks!